Now that mom is getting older, do you worry about her ability to walk around the house or move from room to room unassisted? Take a look at your loved one’s surroundings – there are countless things you have around the room right now that could pose a safety problem for your elder. Rugs, furniture, pets – these are all potential hazards in the home that could cause your loved one to slip or fall. While this isn’t intended to frighten you about the state of your loved one’s home, it’s more to point out that even everyday situations could be more difficult to manage for an elder. One way to ensure your loved one is safe is to go through a home health care agency – professional, experienced staff can come in and determine what hazards are in the home and help you find alternative options. Does your mom need help getting in and out of the shower? 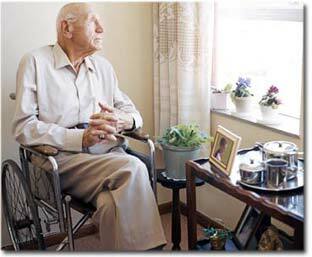 A home health aide can visit her home daily to assist her with personal care or bathing. Safety isn’t always about what’s physically around a loved one or not, either. Is your dad starting to do unusual things without realizing it? Has he been diagnosed with a neurodegenerative disorder or dementia? These diagnoses and a decline in cognitive ability could be an issue for your loved one – from something as simple as brushing teeth to cooking safely each day. Short term and long term care service has all the experience and tools necessary to help your loved one get through the day. As a caregiver, we know that it’s important to provide your parent with as much mobility and freedom as possible – that includes offering the support of a professional home health aide. The goal of an experienced and professional home health aide is to make sure your loved one is getting the necessary care and assistance as safely as possible to reduce the risk of falls or injury. It’s about peace of mind for you as the caregiver and ensuring that every patient lives with the safest surroundings in a familiar and comfortable environment.